At Domtar, our success relies on diverse and talented employees who not only want to grow, but also help others develop along the way. For nearly two centuries, we have built a legacy in our industry by being agile and innovative. We are leaders in caring for the environment and operating sustainably. We invest for the long term in our people, and we enable and encourage them to succeed. Careers for contributors who adapt to change and grow with enthusiasm and expertise. Our company's entrepreneurial spirit honors hard work and ingenuity with exciting opportunities for advancement. Colleagues who have compassion and respect for one another, actively caring for each other's safety and the environment. We welcome and value people with a variety of experiences, perspectives and cultures. Causes to embrace, related to our products that enhance literacy, health and wellness, and sustainability. We are proud of what we do and how we do it. *Benefits vary depending on division and location. At Domtar, compensation is more than just a paycheck. It's the combination of vacation days, incentive plans, group benefits, savings and retirement programs, as well as wellness, scholarship, employee assistance programs (EAP) and more. 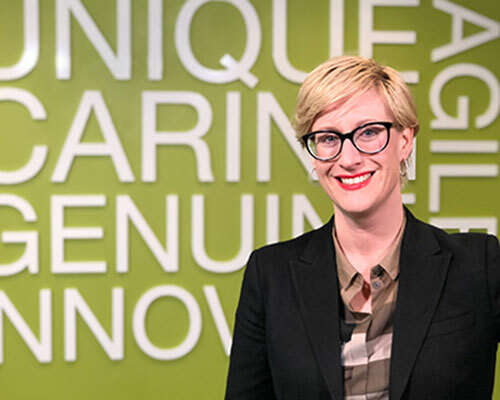 From nationally-recognized professional certifications to personal development, Domtar's online university, My Knowledge Tree, allows employees to learn new or enhance existing skills on demand. Whether completing an Individual Development Plan at work or browsing on a tablet at home, thousands of courses, videos, books, and job aids are just a click away. 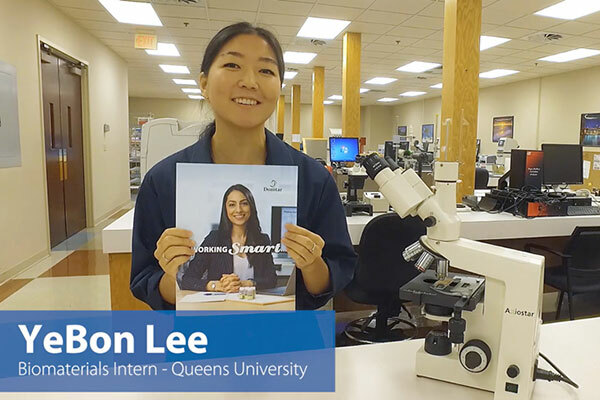 Domtar offers many formal and informal learning opportunities for employees. Tuition reimbursement and on-site, certified professional education courses help employees participate in academic training even while working. Our orientation and on-the-job training programs give employees the skills and knowledge needed to contribute from day one and to succeed when they move into new positions. 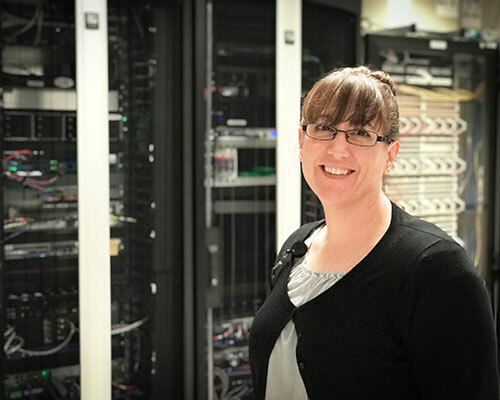 Our Growing Leaders program is preparing the next generation of manufacturing leaders by passing on the skills and experience from our current leaders. At Domtar, we know that our everyday products truly can make life better - every day. And how we do business is as important as what we do. Watch this video to learn more. Our Personal Care division was established in 2011. We’ve built this business through a series of acquisitions, each with its own unique products and market focus. Our vision is to be a global leader in absorbent hygiene by meeting consumer’s diverse needs through effective, affordable and widely available personal care solutions. Domtar’s 2017 Sustainability Report details the company’s endeavors to take a longer term view of creating and preserving value for our shareholders, customers, employees and communities. Focused on the areas of Caring for People and Communities, Efficient Manufacturing, and Responsible Sourcing & Logistics, it details the company’s priorities, challenges and progress via engaging stories and stunning visuals. We are doers, not talkers. 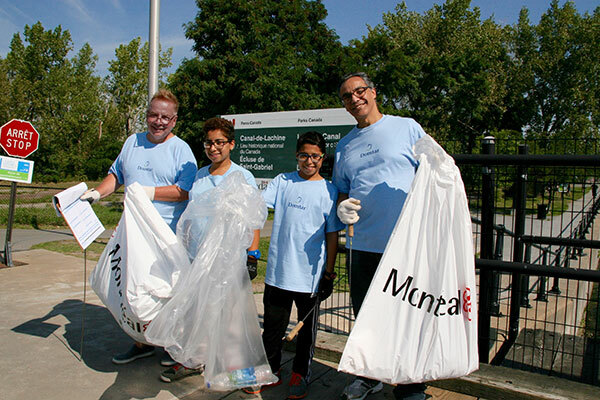 The Domtar EarthChoice Ambassador program connects our colleagues with opportunities to volunteer with health and wellness, literacy and sustainability initiatives. In 2017, our employees volunteered more than 6,000 hours to serve in the communities where they live and work. Jacob Vrooman has taken a professional journey that looks a lot like our company’s path in recent years. Turning his experience in pulp and paper production to innovation in absorbent hygiene products, Vrooman has crossed both our business divisions and the Atlantic Ocean as he contributes to Domtar’s success. We are the largest integrated manufacturer and marketer of uncoated freesheet paper in North America, and one of the largest manufacturers of pulp in the world. Our network of 13 pulp and paper mills and 10 paper converting facilities gives us 3 million tons of papermaking capacity and 1.8 million air-dried metric tons (ADMT) of market pulp capacity annually to help us to serve our customers, support our employees and strengthen our communities. 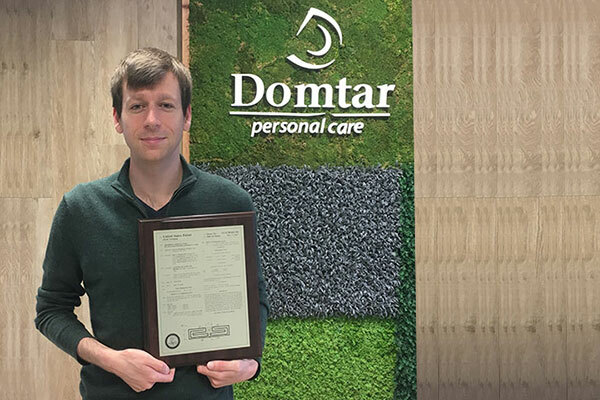 Domtar’s Personal Care division was created in 2011 with the purchase of Attends Healthcare, and has since grown through multiple strategic acquisitions and investments. Today, Domtar is a leading manufacturer of high-quality and innovative absorbent hygiene products with six manufacturing plants that serve customers primarily in North America and Europe. Each year we manufacture and ship millions of products for adults, babies and children that help improve their quality of life. Our Corporate employees provide internal support services to the main business functions of the organization, including Human Resources, Corporate Communications, Information Technology, Finance, Audit, Sustainability, Legal and Government Affairs. We make our products at 28 manufacturing facilities located around the world with a focus on safety, quality and sustainability. 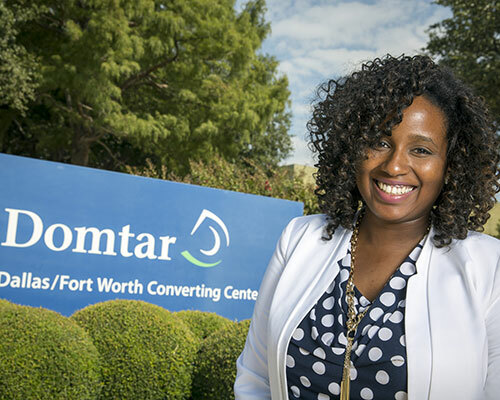 No matter where they work, Domtar employees are pursuing common goals. Submit your information to our talent pool and find out when openings match your background! Domtar offers a competitive paid annual vacation plan based on continuous years of service. 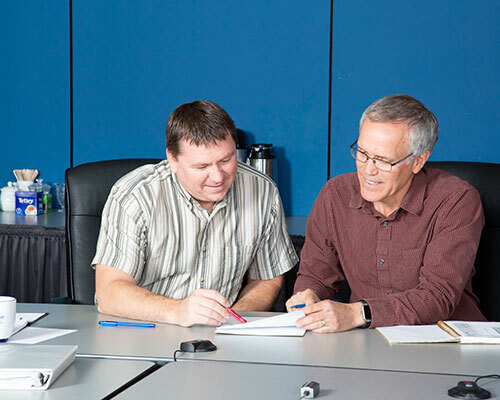 Domtar encourages and supports the personal and professional development of our employees. Our education reimbursement program has been established to help develop our employees' growth in current or future positions. We are committed to delivering health and well-being programs that support our employees in taking action and adopting healthy behaviors. We aim to improve the physical, psychological and financial health of our employees through education and activities that support healthy lifestyles. 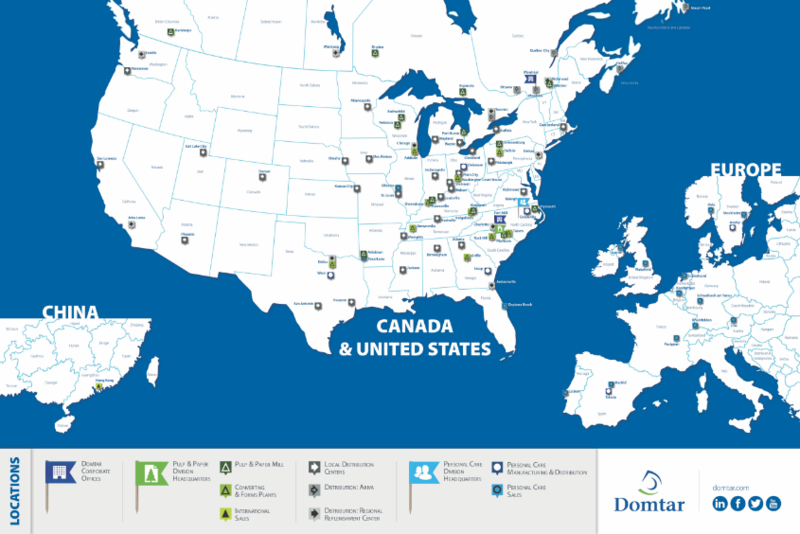 Domtar provides a competitive medical plan that varies based on location. Domtar has a 401k plan that includes company match and an additional employer contribution. Domtar offers disability coverage that helps you meet your expenses when you cannot work because of a qualifying disability. Domtar provides income replacement protection under short-term disability and long-term disability at no cost to employees.